The Heart Sutra has inspired, beguiled, and exasperated Buddhist practitioners and scholars for centuries. As one of the fundamental teachings of what later became Mahayana Buddhism, it is a window into a tradition that offers clear insights into the immediacy of the moment, and that elucidates the moment’s timelessness. In these teachings, we will encounter the themes of compassion, courage, and the roles of stillness and insight in everyday practice. The Heart Sutra is of unclear provenance, but is generally accepted as part of the teachings known as the Perfection of Wisdom. It has been translated into English and other languages many, many times. This six week class will explore three contemporary English translations. 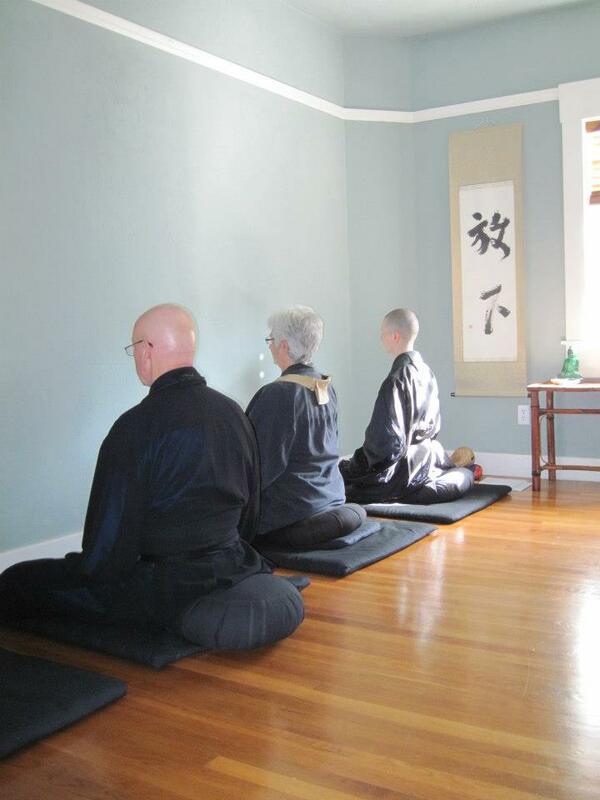 The class will also explore commentary on the text and its themes by Zen Masters Dogen and Miaoshin, and contemporary teachers Harada, Okumura, Tanahashi, and Halifax. It will also explore the roots of these teachings, as they are described in the early Buddhist Nikayas and in commentaries on other early Mahayana literature. The class syllabus is below. Reflection questions, additional optional reading assignments, and weekly pre-recorded lectures will be added as we proceed. The optional group discussion meetings will take place on Tuesdays from 5:00 pm to 6:15 pm Pacific time, from May 14th to June 18th. We will be utilizing Zoom video technology, which is similar to Skype. The class is offered free of charge. Everyone is welcome, regardless of practice experience. To register, contact the Instructor, Ven. Dhammadipa at [hey.konin] at [gmail.com] If you are registering as a student of Shogaku Zen Institute, please mention that in your email. Donations for general support of the monastery, and of Ven. Dhammadipa can be made here. outshining all of the stars in the sky. Required Readings: “The Other Shore” by Thich Nhat Hanh, pages 1 to 25 and three translations of the Heart Sutra. These will be our primary texts for the duration of the class. Reflection Questions: Who or what is your role model for practice? How has that shaped your experience of your self? Reflection Questions: What does compassion mean to you and how do you experience it in your everyday life? Week 4: Does the World Arise? “Rooted in interest are all things; Born of attention are all things.